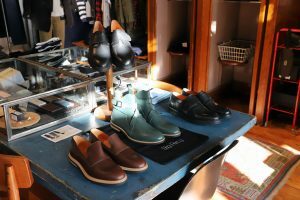 This past weekend Stig Percy hosted an event together with Goose Barnacle in their store in Brooklyn Heights, in order to celebrate the launch of our special edition All Black Stig 4 model that we have developed in collaboration with Goose Barnacle. 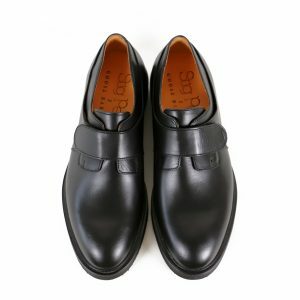 We had a great time meeting our American customers and getting to know David, the owner, at his on-spot independent men’s shop – an ideal location for our shoes. Read more about Goose Barnacle bellow! 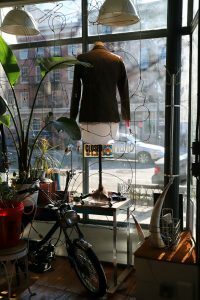 Goose Barnacle, is a men’s independent shop perfectly located on Atlantic Avenue in trendy Brooklyn Heights. 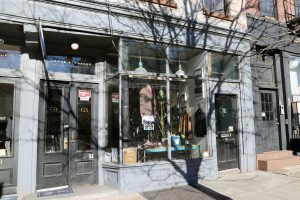 The store was founded by David Alperin, who is a 5th generation Brooklyn Heights resident, opened his store 8 years ago. 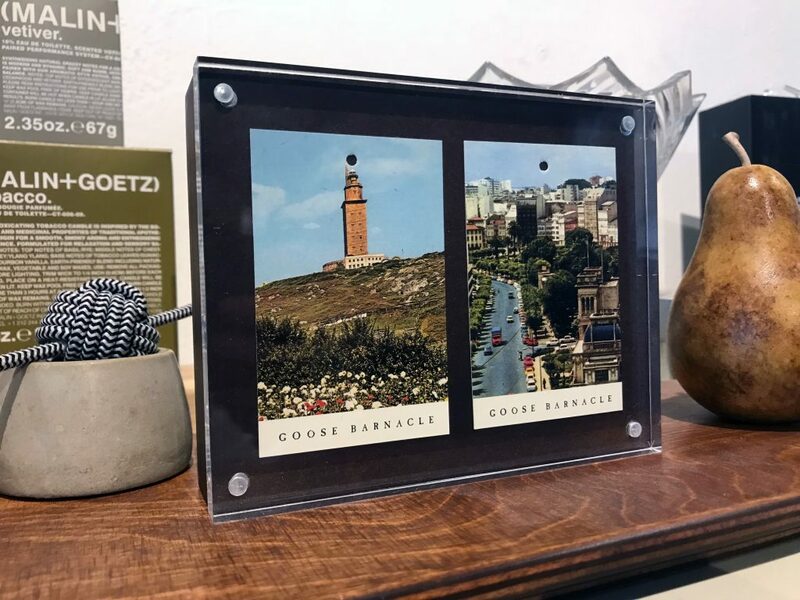 The name, Goose Barnacle, refers back to David’s Spanish roots and is named after a Northern Spanish shellfish delicacy his grandmother use to serve him as a child when he would come visit. 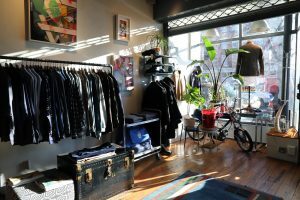 The store in that kind of independent shop that is rare to find today, with an old-fashioned touch in the sense that it’s personal, inviting and has a very well-curated and covetable selection of clothing and accessories. 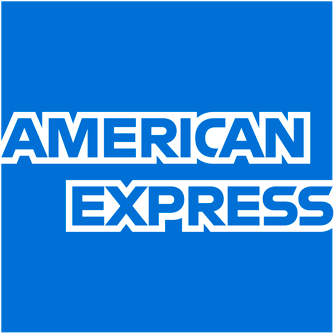 The service is impeccable and personal and the shop has a familiar ambiance but filled with on-spot quality clothing. 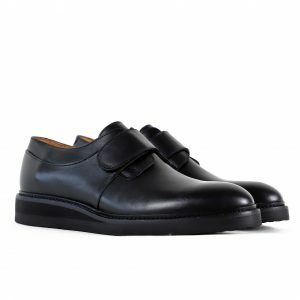 The selection includes several Scandinavian brands, apart from Stig Percy, there’re gloves from Swedish Hestra gloves and a mix of Danish brands such as Soulland, Han Kjobenhavn, and Henrik Vibskov. The store is constantly transforming and evolving, you can sense the heritage yet it’s being kept young and fresh. It partly serves as an art gallery and there’s a new exhibition by contemporary artists quarterly. 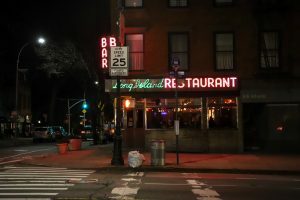 There are a few pieces relating to David’s neighborhood history, one of the few permanent installations in the shop, though, is a decades-old wooden phone booth that used to reside across the street in the old Long Island Bar (image bellow), which was owned and operated by Alperin’s grandmother. The latest addition to this rare shop is a newly-built sports bar at the back of the shop. 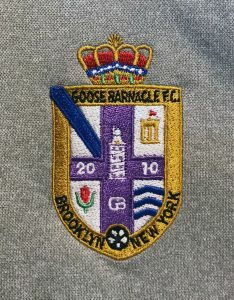 David, who is a big soccer fan and runs a Goose Barnacle official soccer team, wanted to recreate the ambiance of a Spanish village sports bar where the locals meet, drink and watch a game together, and his aim is for this bar to become a member’s club for his regular customers. What better way could there be to renew the neighborhood’s past, present, and future?